Wonder kid J. R. King’s debut novel was published when he was just 14. Listen and see for yourself why people all around the world are so excited about this book. Arianna Kelt is a reformed thief and wizard seer. 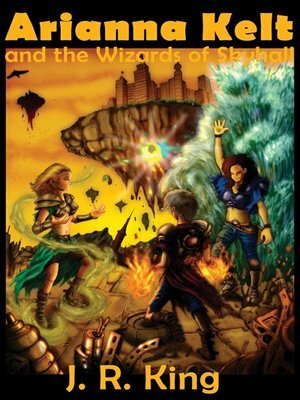 Now you wouldn't think being a wizard seer would be such a big deal, but it is a big deal to the Wizards of Skyhall. For you see, those particular wizards are sworn to protect the citizens of Earth from all the things they shouldn't know about, namely wizards, warlocks, and all the creatures of the magical realms that no humans should know exist. Beware the Law Gnomes... Enter Skyhall and become a wizard if you dare! J. R. King's debut novel earned him multiple awards from teachers, librarians, and readers.